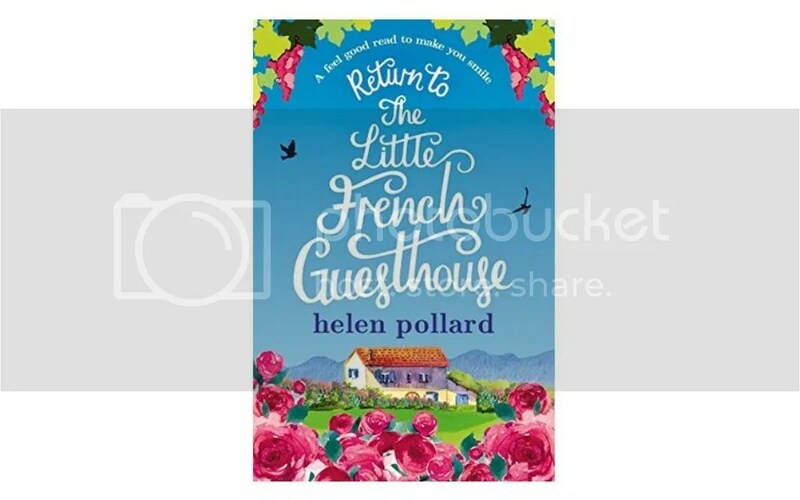 As you can tell from the book title, this is the sequel to the Little French Guesthouse by Helen Pollard, as reviewed last week. When I found out that there was a sequel to the last book, which I had enjoyed, I pretty much bought it immediately. This was slightly more expensive than the original, at US$3.99, which is still really affordable. This book follows on from the last, where Emmy Jamieson moves to La Cour des Roses, a beautiful french guesthouse as the new manager. She needs to make it work, as she has given up everything in her old life in the city (which includes having to rent out the house she owns with the ex-boyfriend Nathan) and wants to prove she has not made a mistake. When she arrives, she’s immediately faced with lots of problems – including a famous travel blogger with horrible habits, nasty customers who blows issues up disproportionately, as well as problems left behind by Gloria, the owner’s wife who ran off with Emmy’s (now ex-) boyfriend in the last book. Gloria has failed to mention, before she ran off, about the impending arrival of the demanding and huge Thomson family with their airbeds and caravans for a golden wedding anniversary. Then the biggest problem of all – Gloria returns, acting as though the affair between her and Nathan was not such a big deal, and forces her way back as the guesthouse’s female owner. She doesn’t help out much, but instead spends the time attacking Emmy on her role as the manager, as well as lashing out at the guests. She also hates the dog that Rupert acquired in her absence, which he had named Gloria as well. But of course, as a feel-good book, all bad things will come to an end – Rupert finally got his act together and kicked Gloria out, all misunderstandings are cleared, Emmy winds up with the cute half-french Alain and it’s a happily ever after. I have enjoyed most of the book. That said, I don’t think it was as well written nor as “feel-good” as the last; it felt a bit as though the author was trying to bank on the success of the last book as soon as possible, and therefore pushed out this book as fast as she could. The ending was predictable, but as I mentioned in the previous book’s review, there are just so many ways that a “feel-good” book can end so I’m not faulting it for that. It’s not a bad book; it’s still a rather easy read, but there are sections that are just ridiculous – such as Gloria insinuating that Alain has slept with her but Alain has no clue if that has happened or not. The travel blogger with the bad habits is also rather unbelievable. But the pace is fast enough for the odd ridiculous activity to not really bother me. There’s just not as much of a “success” or “win” or “life-changing” moments in this book that made the last book such an enjoyable read. So I think if you’ve really enjoyed the last book based on all the “feel-good” moments in it, you might be slightly disappointed by this. But if you’re just looking for a relaxing easy read, it’s not too bad.